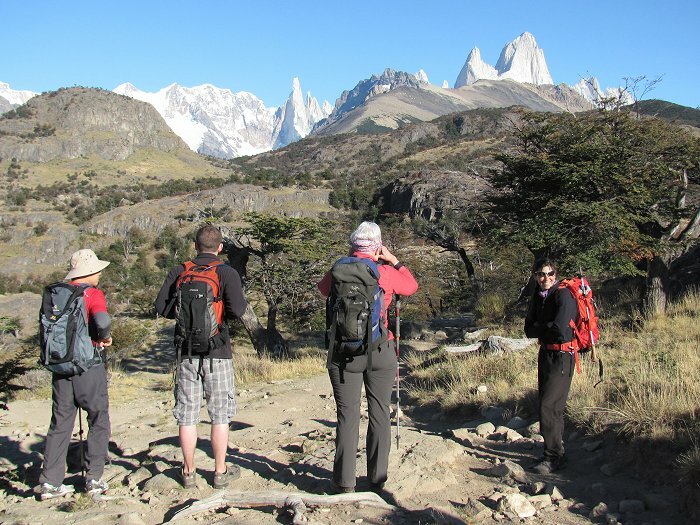 Mountain Hiking Holidays Blog: Welcome to Patagonia!! First view of the peaks from the trail along the Rio Fitzroy. From the left: the Cordon Adela, Cerro Torre, Poincenot, Fitzroy.